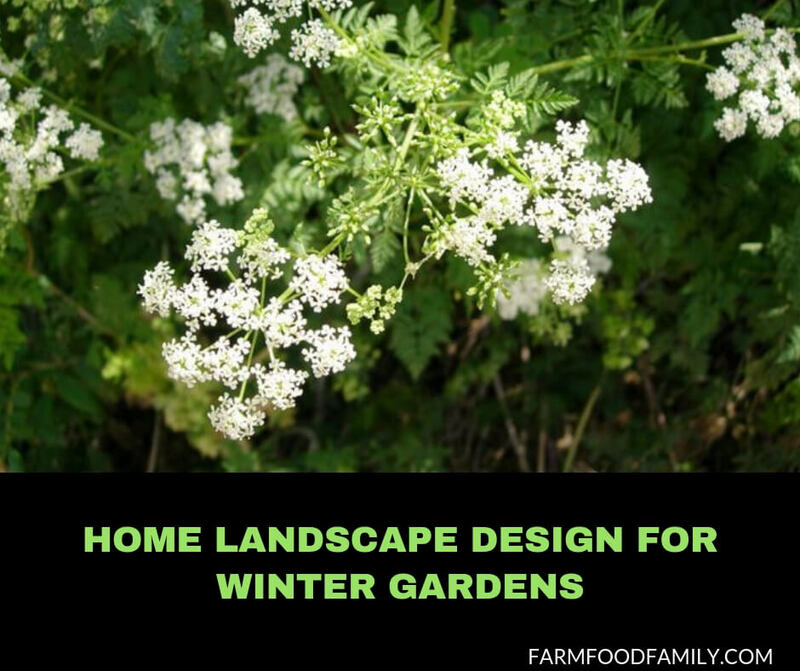 Consider home garden designs to include interesting and colorful trees, shrubs and even vegetable plants that need little winter care and bring ife to the cold months. While many North American gardens fall into a deep sleep over the colder winter months, the color and interest of winter gardens complete with winter flowers should not be forgotten. Walks in the snow are simply made more enjoyable when you see stands of birch trees and groupings of red twig dogwoods or winterberries. Or, you can take comfort form the snow covering even leftover fall gardens, with perennials still peeking out such black-eyes Susans or ornamental grasses. As with all gardening tips, your location makes a huge difference in the types of winter gardens that will not only survive but thrive to take on a frosty beauty in the winter months. Check out the Old Farmer’s Almanac to find out what zone you live in and what types of winter plants will thrive and survive in your garden. Not only can winter gardens yield some tasty, nutritious vegetables but winter plants can provide some stunning ornamental qualities during the long cold days of the season. Canadians can also take heart by trying their gardening skills with a winter garden. Canadian Gardening magazine recommends that for the most northern climates, when frost is present from the months of November through until April, you consider growing conifers and broadleaf evergreen as “anchors” to your winter gardens. The magazine notes some interesting combinations of winter flowers and other winter plants that can add the most striking complementary colors and best landscaping designs. These combinations would include cedar and yews, which display black tones, mixed with pines and spruce, with blue-green and powdery grey-blue tints. You can also try mixing bronze colored plants, such as Korean boxwoods and Siberian carpet cypress, with cinnamon color such as paperbark maple. Winter gardening with the right landscape and design can provide an opportunity for anyone, from the hearty gardener to the novice, to experience the beauty of the colder months, enjoy pleasing combinations of winter plants and enjoy some of the freshest produce possible, right in your own yard.